The life of a Human Resources (HR) executive is never dull! In addition to finding the best ways to recruit and retain employees, and reducing absenteeism in the workplace, they also have to stay current on new technology and issues that are top of mind for their employees. That’s why I find the 2018 SHRM Annual Conference & Exposition super valuable. Billed as the largest HR conference in the world, the event attracts more than 20,000 attendees from a wide range of industries and company sizes, and gives a high-level look at workplace trends that are changing the HR industry. This year did not disappoint. 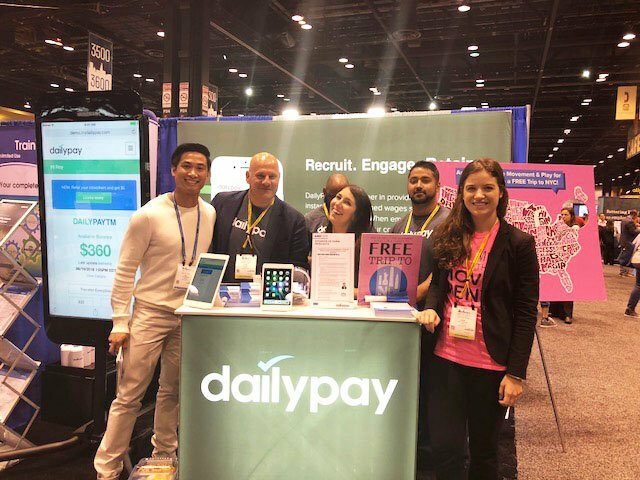 In addition to giving attendees a look at a life-size version of the DailyPay PAYTM app, I spoke to a lot of DailyPay customers, heard from a lot of interesting SHRM speakers, and saw some great exhibits. The sum of which gave me a better understanding of the workforce trends that HR professionals need to prepare for. Here’s what I learned at SHRM 2018.
Who is Driving HR Automation? Throughout SHRM, I heard a lot about automation and artificial intelligence (AI), and a lot of concern about how these technologies will impact HR professionals. There is a lot of uncertainty about whether humans will be replaced by AI over the next 10 years. To remedy these C-Suite pain points, HR needs to be more strategic and work closely with the CEO and executive team to realign strategies, including how to leverage AI and achieve the perfect blend of human and technology. My takeaway: By learning to work with automation and combining human and AI skill sets, HR pros can improve engagement and productivity in the workplace and maintain HR relevance. We’re halfway through the year and one of SHRM’s forecasts for 2018 is holding true: this year we have to be more open-minded about Millennials and Generation Z. In one of my favorite lectures at SHRM 2018, Dan Schawbel’s ‘Top 10 Workplace Trends For 2018’, Dan cautioned that traditional stereotypes about Millennials are out of date. They are not job hoppers — in fact, the average tenure at a job for millennial is over 5 years versus 4.2 years for the overall population. 7% planned to leave their job ‘soon’, an improvement from 17% in 2016. These are promising numbers because, over the next three years, Millennials will make up more than 50% of the workforce as baby boomer employee attrition begins. While they are more loyal than we’ve come to believe, Dan reminded us that the Millennial mindset can be dominated by the financial burden of student loan debt. There were 5 million student loan defaults this year, and Dan is quick to remind us of Maslow's hierarchy of needs: if these employees don't have financial security, they won't be able to focus on work. My takeaway: Don’t be afraid to invest in Millennials—they’ll reward you with loyalty. As you consider how to invest in them, remember their financial wellness. 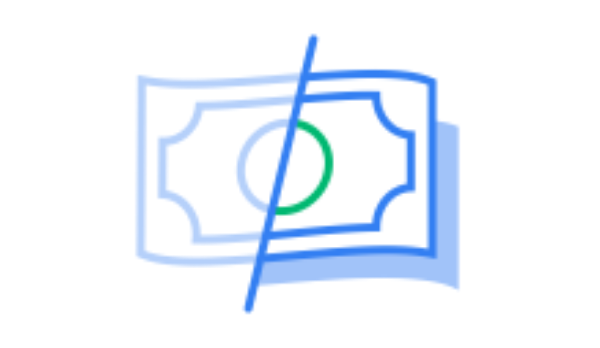 A fringe benefit like an on-demand pay solution could help alleviate financial stress, and endear your organization to them. The changing millennial mindset is also challenging the hiring status quo. As mentioned above, many millennials are drowning in student debt. So, in an effort to avoid accumulating more debt, many Gen Z workers are forgoing traditional degrees to pursue online degrees, certificates, and specializations. This has lead to a popularity boom for massive open online courses (MOOC). Between 2016 and 2017 around 46 million new learners signed up for MOOCs taking the total number of learners to 81 million. 25% of employers say they are willing to accept digital badges as a verification of skills. In a tight labor market like the one we’re currently experiencing, which makes it difficult for organizations to fill the 6.3 million open jobs available in the United States, businesses need to reconsider their talent pool. My takeaway: A larger talent pool can ease the burden many HR departments and recruiters feel. As millennials are flooding the workforce, they are driving awareness and increased focus on topics like mental illness. Dan shared some eye-opening data on mental health in the workplace: employee-related mental health issues account for more than $217 million in lost days of work each year—$17 billion annually in lost work, and $79-$105 billion in indirect costs. Dan also provided recent data that says 29% of millennials attribute lost time in the workplace to mental health, as compared to 5% of baby boomers. When mental health is left untreated, workers are more likely to call in sick, become less productive when they are at work, and file insurance claims against their employers. Employees are an organization’s greatest asset, and mental health is the key component of well-being, engagement, and success. My Takeaway: We now have a clearer picture of the true cost of mental health in the workplace. Now that millennials are becoming the largest working demographic, HR professionals would be wise to understand their needs and focus on their well-being. Doing so will improve productivity and engagement in the workplace, which has a tangible effect on an organization’s bottom line. Over the course of many conversations with payroll providers at SHRM 2018, I definitely felt an urgency to upgrade antiquated platforms. One company I spoke with mentioned they’ve switched to a cloud-based platform to make processes more user friendly, a move they see as a clear competitive advantage. Another company said migrating to a cloud based platform was so important to them that they hired a team to manage the migration process. They also trained their sales team to move existing clients on the legacy system to the new platform. With these cloud-based systems, companies can roll out upgrades faster, spend less time onboarding and training their team, and still ensure their employees have the best possible experience. Examples of these types of platforms include Namely, Bamboo HR, Kronos HR Workforce. Each is focused on developing software that is cleaner, easier to use, and empowers employees to be more productive. As this evolution happens, it will be interesting to see how older payroll companies respond. Legacy platforms are feeling the pressure to keep up and are starting to offer options that are more flexible. My Takeaway: Investing in new technology, that integrates with existing systems, helps empower employees to be more productive. And, as more companies adopt cutting-edge technology, the only way to stay in the race is to adapt. We’re going to have an action-packed second half of the year. The evolution of AI, the growing millennial workforce, and the move to cloud-based solutions are all contributing to the rapid innovation in the field of human resources. How we leverage these trends will define the success of our organization. Were you at SHRM? What trends did I miss here? Jaime McDougall is the marketing director at DailyPay. Jaime focuses on educating companies and their employees about our provided benefit that improves the financial well-being of our clients, all while helping our partners’ reduce costs and improve their bottom line. 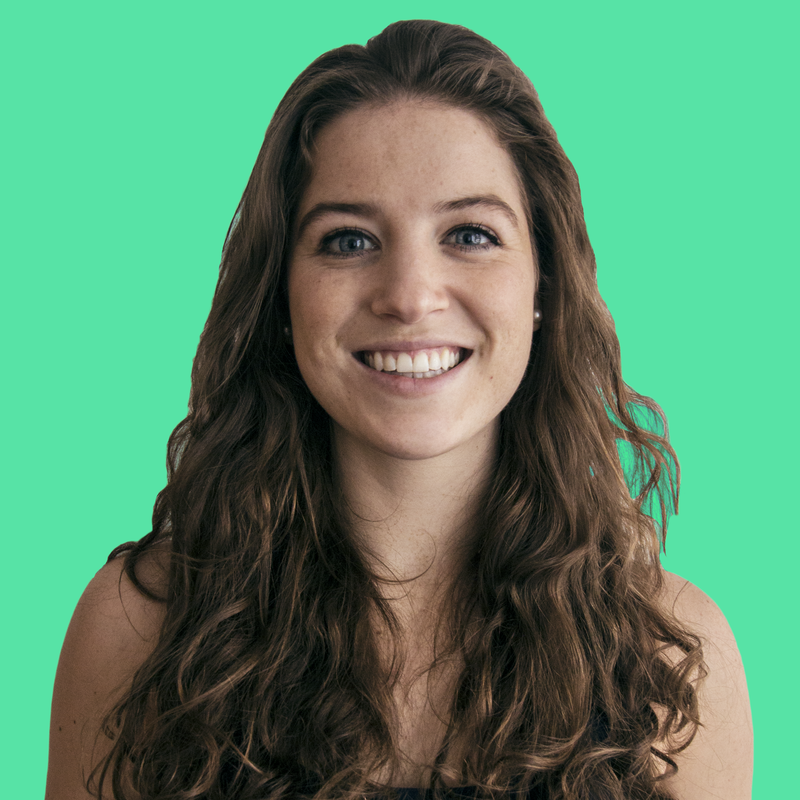 Jaime previously worked in account management for one of the largest NYC ad agencies on fortune 100 brands.